KidStart Magazine > Family Life > Occasions > Are You World Cup Ready? It’s all about to (literally) kick off ! Football fans around the globe are preparing themselves for the excitement, thrills, and emotional roller-coaster that will doubtless be the 2014 World Cup. England’s first match (versus Italy) is coming to a living room near you on June 14th, so you have some time to get ready. 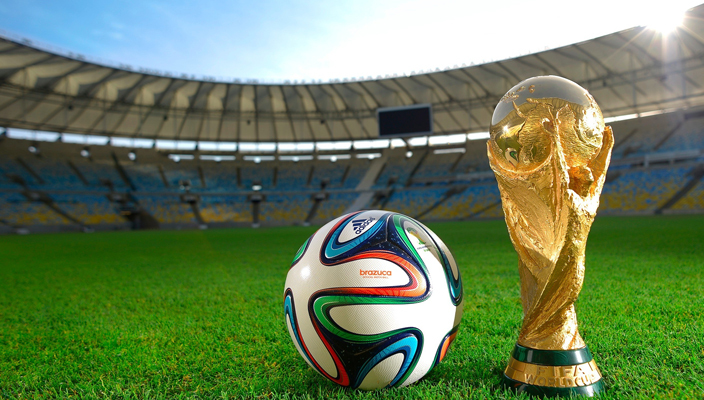 Here’s a checklist of things you’ll need to be World Cup ready! 1. Get some blue tack or fridge magnets for sticking the group charts to the wall/fridge so you can keep a record of results and check game times. 2. There’s still time to rent a nice big HD screen to watch the games on. You can get 3% back for your kids at John Lewis! 3. Stock up on flags, kit, rattles and scarves of the team you support so you can make some extra noise when they need you most. 4. Make sure the kitchen cupboard is full of yummy snacks so no one has to go and cook dinner during those tense penalty shoot outs. You can get up to 1.2% back for your kids at Waitrose! 5. Beer. Get your six packs ready! 6. Take the time to pop into your optician to make sure your spectacles are the right prescription so you don’t miss a thing. 7. Have some extra fold-away chairs and cushions handy for those last minute guests. You can get 1% back for your kids at Homebase! 8. Have an ample supply of throat pastilles on hand to soothe the sore throat you’ll have after screaming at the TV for 90 minutes. 9. It goes without saying that every kid in the country will be asking for a new football, boots and garden goals. 10. Have you got your FIFA World Cup 2014 sticker album yet? 11. And you can download the match schedule here. Let’s hope we see some GOOOAAAAAAALLLLLLLLS!